A MOM, A RACECAR, A KAYAK—BLOG POST! DANG IT! 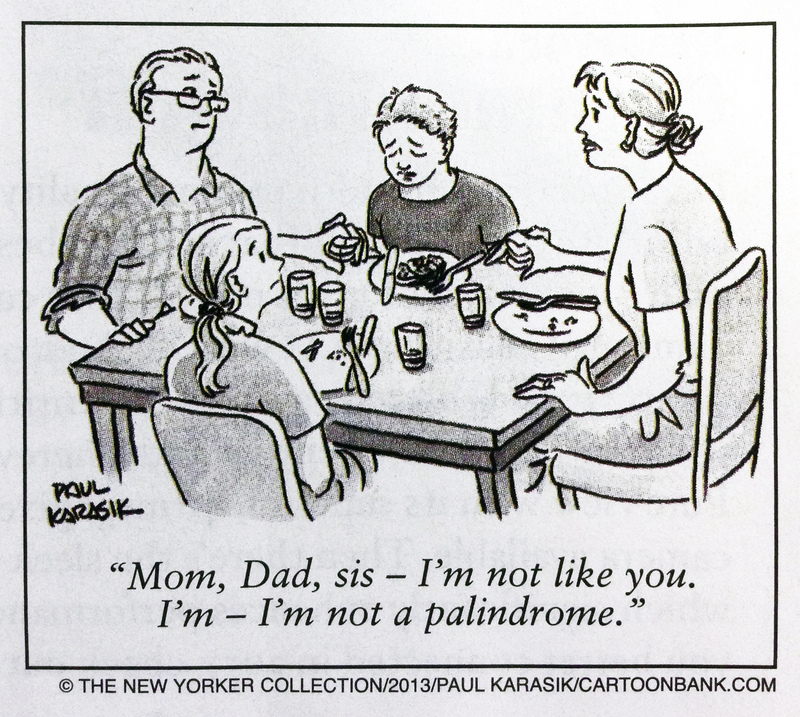 If you spend much time on social media, then I’m sure I’m not the first person to wish you a happy palindrome week. In fact, I’m kind of late since it started last Thursday (4-10-14) and will be over after this Saturday (4-19-14). Of course it only works if you write the date like we do here in the US, with month/day/last two digits of the year, but I think you’re probably welcome to celebrate even if you prefer your dates in a different order. 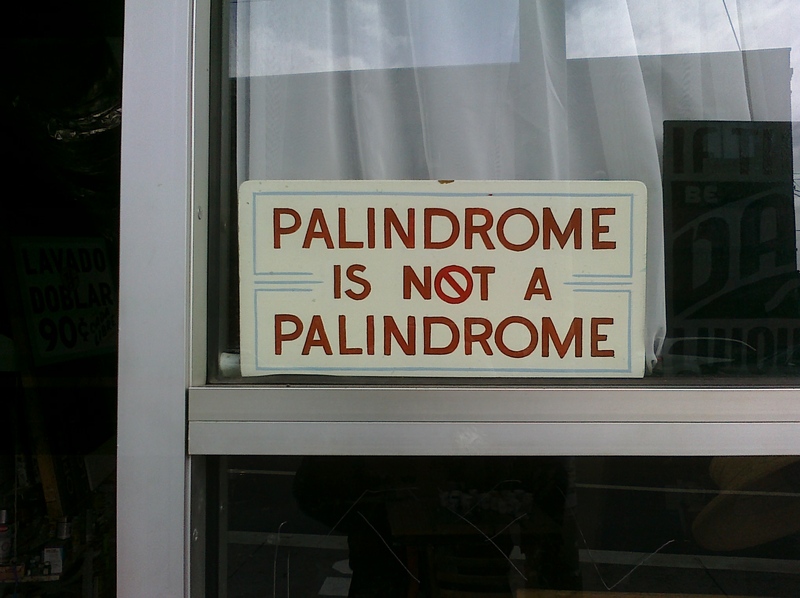 In case you are unfamiliar with the word “palindrome,” it refers to a word or phrase that is written the same forward and backwards. A few examples are “mom,” “racecar,” and “kayak.” You get the idea. Word nerds are fascinated by them, they’ve been around for millennia, and there are examples of them in almost every language on earth. Eventually, Sotades decided to turn his poetic attention to the love life of Ptolemy II, which was something of a hot mess. The king didn’t like the attention and had the poet arrested and, eventually, wrapped in lead and thrown into the sea. Despite his untimely end and the questionable subject of his poems, Sotades is remembered as a genius with words, once allegedly rewriting the Iliad in palindromic verse, presumably changing the setting to Panama. Unfortunately, I can’t post any of the poet’s work here mostly because this is a family-friendly blog, but also because it was lost to history (possibly wrapped in lead and thrown into the sea). But his legacy has been carried on by people like Mercer and by comedian and wordplay enthusiast Demitri Martin who recently penned a 500 word palindromic poem that mentions neither Panama nor Nantucket, but is, in the tradition of Sotades the Obscene, too dirty to post on this blog. 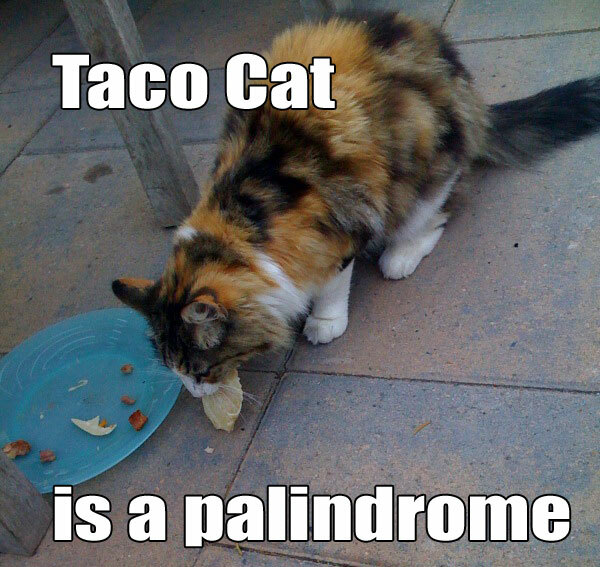 Still, it’s a pretty impressive work, because, it turns out palindrom-ing is not as easy as it looks…Dang it! My name is Bob and I’m a Dad, does that make me a double palindrome? A FANTASTIC post, Sarah! I can’t wait to share this piece with my daughter, a ninth grade English teacher! Check it out, Molly! I’m glad you enjoyed it. Thank you for reading and for sharing!